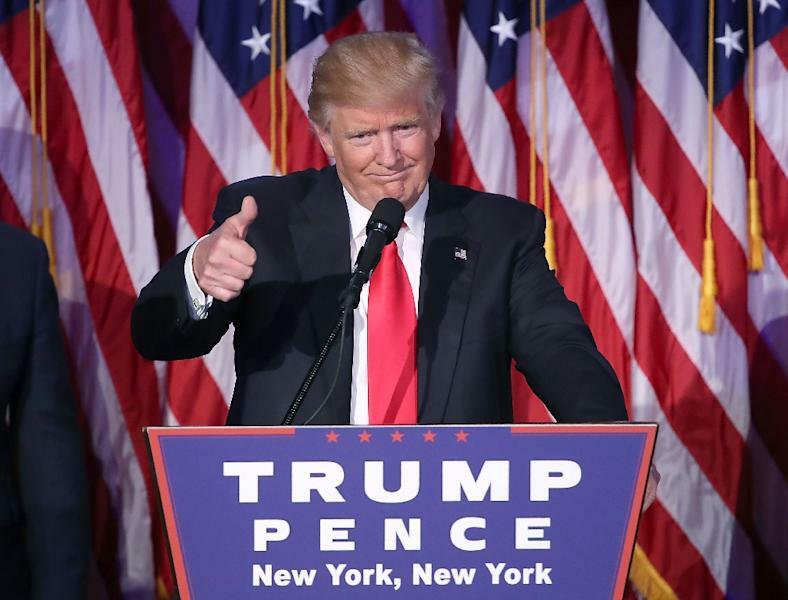 US President-elect Donald Trump denounced reports that the Kremlin had compromising intelligence on him as a "political witch hunt"
Washington (AFP) - US President-elect Donald Trump on Wednesday faced explosive claims that Russian intelligence gathered compromising information on him which the Kremlin dismissed as fake and aimed at damaging ties. Trump denounced a report circulating in US media with damaging claims over his personal and professional life as a "political witch hunt" as he was set to hold his first news conference in nearly six months on Wednesday. "FAKE NEWS - A TOTAL POLITICAL WITCH HUNT!" the president-elect tweeted on Tuesday after CNN reported intelligence officials briefed him on the claims last week. Russia denied the claims, with President Vladimir Putin's spokesman Dmitry Peskov telling journalists: "The Kremlin does not have compromising information on Trump." The Kremlin spokesman called the dossier a "total fake" and "an obvious attempt to harm our bilateral relations." Intelligence chiefs last week presented America's incoming 45th president, as well as current President Barack Obama, with a two-page synopsis on the potential embarrassment, according to CNN and The New York Times, who cited multiple unnamed US officials with direct knowledge of the meeting. The outgoing US leader had little to add publicly to the bombshell revelations, saying he hadn't yet seen the media reports, as he delivered his farewell address Tuesday with 10 days to go until Trump's inauguration. He added however that he hopes Congress and the Trump administration will continue to work toward finding answers about who is responsible for hacking scandals that have roiled American politics in recent months. The dossier was originally compiled by a former British MI-6 intelligence operative hired by other US presidential contenders to do political "opposition research" on Trump in the middle of last year, according to CNN. Trump was reportedly informed of the existence of the dossier -- and its salacious details -- last Friday when he received a briefing from US intelligence chiefs on alleged Russian interference in the presidential election. The classified two-page synopsis included allegations that there was a regular flow of information during the campaign between Trump surrogates and Russian government intermediaries, which a Trump aide denied. Trump is expected to go before the cameras at 11:00 am (1600 GMT) at Trump Tower in New York for his first press-conference as President-elect. The 70-year-old billionaire directly assailed Buzzfeed, re-tweeting an article that blasted the online publication for publishing the "unverifiable" dossier. Buzzfeed said it posted the material in the interest of transparency, but its editor in chief Ben Smith acknowledged that "there is serious reason to doubt the allegations." Democrats were left stunned by the developments, with House Democrat Jared Polis tweeting that if the reports are true, "he should not be president." The Federal Bureau of Investigation was provided with the information in August, more than two months before the November 8 election. The rumors gained momentum when then Senate Democratic leader Harry Reid wrote FBI Director James Comey one week before the vote. "It has become clear that you possess explosive information about close ties and coordination between Donald Trump, his top advisors, and the Russian government," Reid wrote in his letter. "The public has a right to know this information." Comey was one of four top officials who briefed Trump Friday, along with the heads of the Directorate of National Intelligence, the Central Intelligence Agency and the National Security Agency. 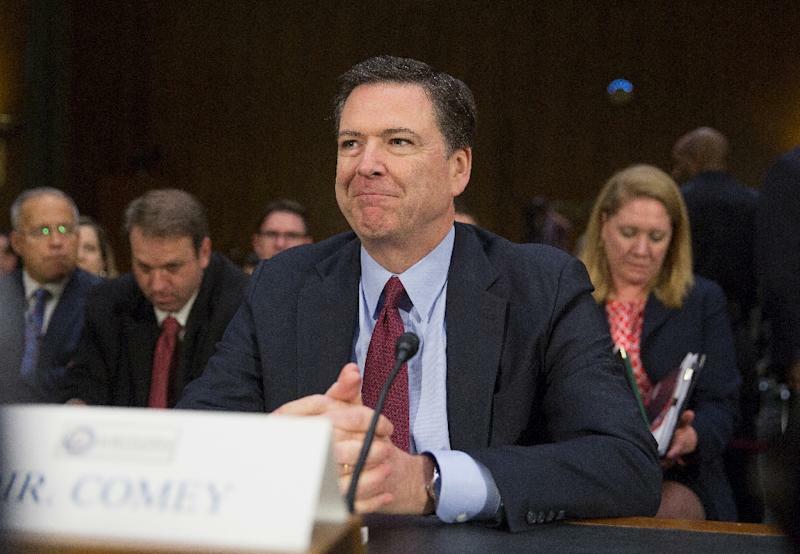 Asked in a Senate hearing Tuesday about the allegations of sustained contacts between Russia and the Trump team, Comey refused to confirm or deny his agency was investigating such links. 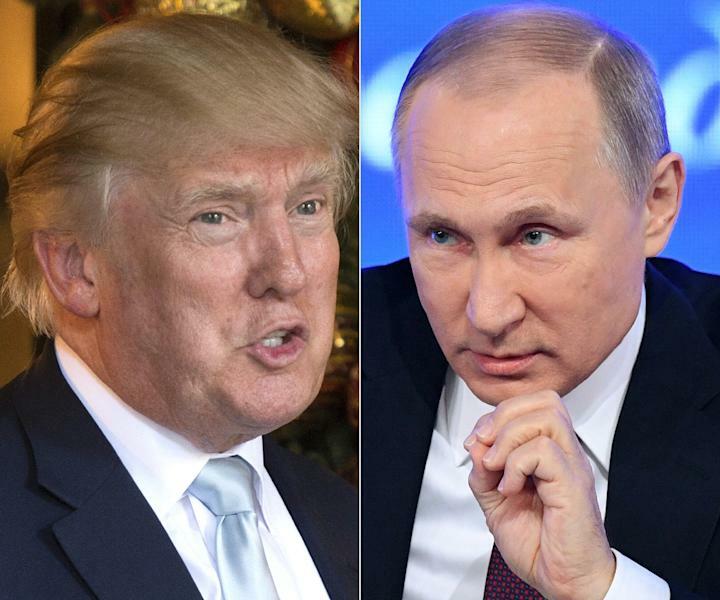 US intelligence has already made the virtually unprecedented accusation that Russian President Vladimir Putin sought to tip the electoral scales in Trump's favour by ordering a hack of Democratic Party emails. At the weekend he condemned as "stupid" anyone opposing better relations with Moscow.